SILIGURI: Prime Minister Narendra Modi on Wednesday made a scathing attack on West Bengal chief minister Mamata Banerjee describing her as a "speedbreaker" in the path of development of the state and insisted she has to go to ensure speedy development of Bengal like rest of the country. 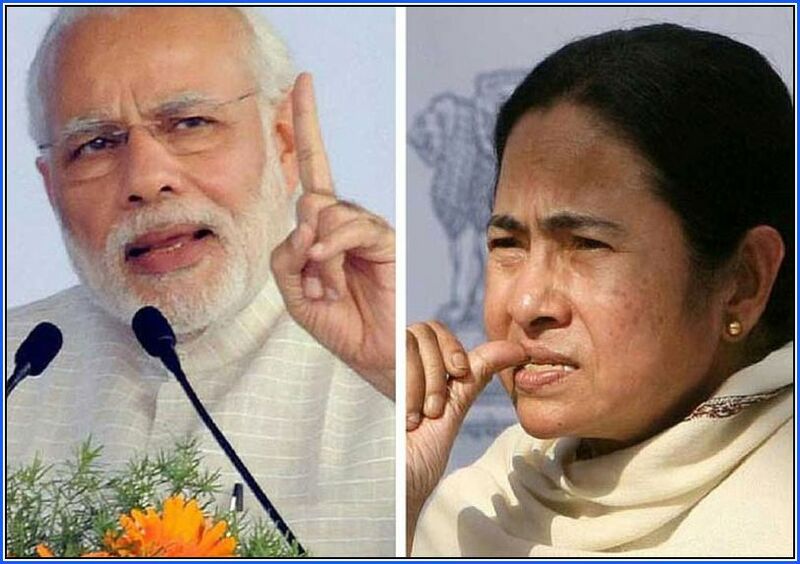 He also took potshots at Trinamool Congress president as well other opposition leaders for expressing doubts over Balakot airstrike to avenge Pulwama terror attack and mockingly said, "More than pain felt in Rawalpindi, it was felt by Didi in Kolkata." "I have not been able to ensure development of Bengal in the same speed as in the rest of the country. The PM stressed that she must be voted out of power to remove any impediment in the path of prosperity of the people of Bengal. Pleased at the turnout at his maiden rally in the state after announcement of Lok Sabha polls, he said "if I had not come here to see the huge crowd, I would not have realised that didi's boat is drowning." He said that the farmers of the state have also not been able to reap the benefits of direct transfer of money to their accounts under the 'PM Kisan Samman Yojana' owing to the "speedbreaker Didi". Modi said that chitfunds have looted the poor of Bengal and were assisted by ministers in Banerjee's cabinet, her MLAs and associates. The PM said that despite several attempts by the opposition parties at scuttling his development initiatives, his government has been able to provid gas, electricity, toilets and other benefits to the people of the country. Reiterating his accusation against Banerjee and other opposition leaders, who had posed questions on the outcome of the Balakot airstrike, Modi said "Who was supposed to cry and who started crying?" Prime Minister Narendra Modi on Wednesday made a scathing attack on West Bengal chief minister Mamata Banerjee describing her as a "speedbreaker" in the path of development of the state and insisted she has to go to ensure speedy development of Bengal like rest of the country.